It’s rare to see such a commanding voice in a directorial debut, but Jordan Peele’s psychological, racially charged horror film provides exactly that: a new and exciting voice carrying a worthwhile message. And let’s be upfront about this: people can be pretty racist, and not always in such obvious ways but in the small interactions between individuals. From changing how you would normally dress someone to the deeper meanings in the words you say, the clandestine racism felt today is just as harsh as it was 50 years ago. Peele and his cast work to dismantle these truths under a harshly funny and scary tone reminiscent of Sam Raimi’s Evil Dead films, but instead of Deadites, the terror comes from a rich white community. 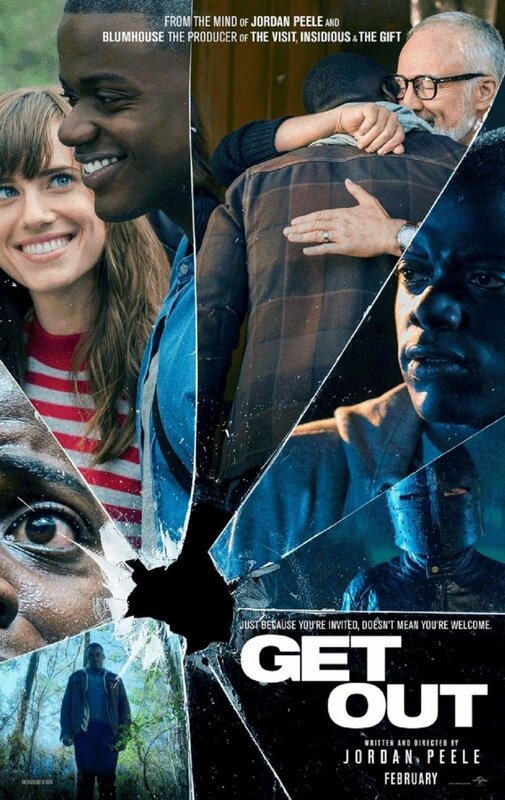 Following Chris (Daniel Kaluuya), who is black, and his girlfriend Rose (Allison Williams), who is white, as they travel to her parents house for the weekend the festivities soon take a sinister turn full of hypnosis, dead animals and an auction… yup it goes there. Tackling the fears a modern black man faces, from political correctness to the police, the script from Peele works as a rumination on his own dread and makes it digestible for the average movie goer. While the political themes of the film do stand to make it courageous compared to most films widely released, it doesn’t take away from the craft that goes into the horror part of the movie. Ramping from a quiet unsettling to a full-blown fever pitch of insanity, it stands that the film stays with such a small focus. Chris’ plight is immediate and the script really works to empathize his situation while questioning why this had to happen in the first place. The Ermitage family itself ups the creep factor by being so welcoming at first while having a dark undercurrent of something maligned. Coupled with the excellent sound design and music choice the filmmakers really command the audience into a stupor of fear. The film does suffer a few shortcomings though, several jump-scares come across as both funny and scary without really setting in on its tone, leaving several moments that could have been executed better. Yet these qualms do nothing to bring down an impressive beginning to Peele’s career as a film director. While he proved hilarious with his line of sketch comedy, I believe his work as director will prove even more exciting.